Global City Press, 9781887369169, 368pp. Girls: An Anthology explores and celebrates what it is to be a girl growing up in our culture. The fifty voices heard in this collection evoke the extraordinary range and complexity of this experience, and in the process redefine traditional notions of girlhood. Through memoirs, stories, poems, essays, letters and interviews, girls describe their triumphs and losses, heartaches and joys. They speak as mothers, sisters, daughters and friends-about themselves and one another. Also included are two fathers, on their relationships with their daughters. The writers featured range in age from fourteen to over eighty, and reflect a rich diversity of experience and identity. In addition to work by such well-known writers as Sandra Cisneros, Mary Gordon, Jamaica Kincaid, Thomas Lux, Honor Moore, Tillie Olsen, Grace Paley and Alex Kates Schulman-several of whom contributed an original piece-Girls introduces writers whose work appears here in print for the first time. Among these are a Holocaust survivor, Tony award-winner Donna Murphy, a teenage mother who is herself in foster care, a psychiatrist and a prison inmate. The journeys recorded here are both familiar and startling. They will remind some of us who we were, and help others of us imagine who we might become. Above all, Girls: An Anthology gives voice to girls everywhere. The most important idea of the 20th century and beyond is feminism. The fight for equal rights for women has been waged, as such battles are, not in a barrage of "shock and awe," but day by day, without weapons, and on inglorious battlefields. 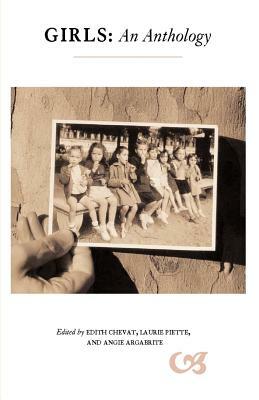 We at Global City Press, to that end, are proud to have published Girls and to reissue it in 2006.